If we only had endless square feet to show this phenomenal solid wood product! Dependable Durham is our tag line for this company. They have been making solid wood furniture since 1899. 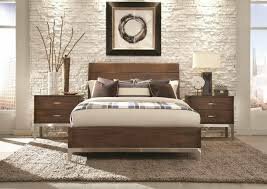 They are famous for all styles including traditional, transitional, contemporary and cottage style bedroom and occasional furniture. There are a multitude of finish options, which allows them to design you a custom piece for a reasonable price. You can see all of the finishes in our design center at Artis Furniture. The furniture is made from harvested solid wood at their plant in the town of Durham, Ontario (north of Toronto). Fantastic customer service. Their perfect balance line is a great option for lofts, and smaller spaces!